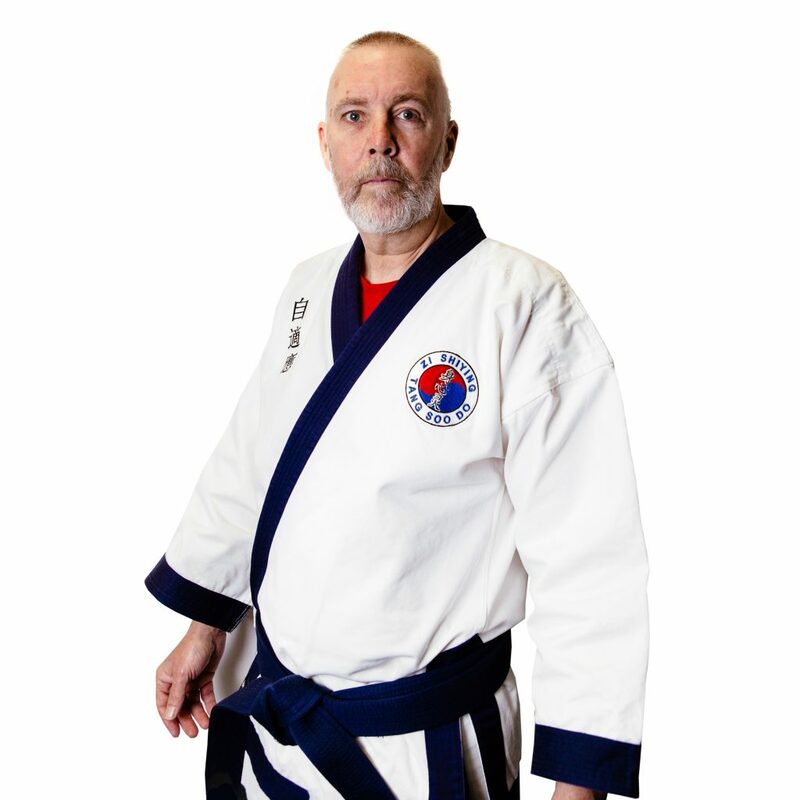 I started my martial arts training in 1973. when Bruce Lee came onto the scene, started at the Wado Ryu club at the Billingham forum and moved onto Tae kwon Do when I lived in South Africa and carried on with it when I came back home to the UK. When that club folded I looked around for something to train in and discovered Tang Soo Do in 1988, under kyo sa nim David Allerton where I trained for 4 years. I left due to work and home life getting in the way , historically I have studied aikido, aikiki aikido, wing chun , karate , but have always wanted to return to Tang Soo Do. When a chance meeting with Master Craig Moat took place I thought I would give it another go, when he announced his desire to form a new organisation called zi shiying tang soo do I was hooked , I have felt for a long time that I have had a lot to give but have been held back , this club recognises that everyone has the ability to develop and at this club, this is a priority. I have over 30 years experience in the martial arts and I hope to pass some of that on, it is a not for profit organisation, where the instructors are there for the students and not the students are there for the instructor. Many thanks for reading and i hope you enjoy the rest of our web site.